Video distribution platform Vemba has raised $6 million in a series A-1 round, bringing its total funding to $11 million. The new round was led by Time Warner Investments and SpotX, with existing investors Upfront Ventures and Bertelsmann Digital Media Investments participating as well. Vemba’s CEO Garrick Tiplady told me in a briefing that the company’s vision is to become the industry standard platform for scale in video distribution on any device. Vemba’s platform allows content providers to create flexible models to distribute their videos and receive real-time analytics on their performance and monetization. Garrick said this is a key Vemba differentiator vs. previous video syndication providers. 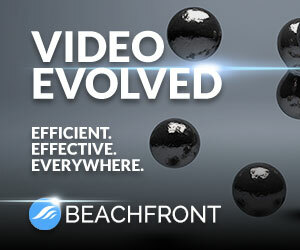 Everyone in the transaction has transparency about which videos are doing well, regardless of player, ad server or CDN. Because Vemba is player-agnostic, video can be distributed in the content provider’s own player, via a third-party publisher’s player or a combination, depending on editorial and business preferences. Vemba is a relatively new player in a category I’ve been calling the “Syndicated Video Economy” for the past 9 years. Because scale is essential to support ad-driven video, it’s critical to syndicate video broadly and build audiences. This is even more important now given the rise of social platforms and the further fragmentation of eyeballs. A year ago SpotX and Vemba partnered for a joint product that enables video providers to set minimum margin parameters, which in turn drives whether a pre-selected video plays. This approach reduces the risk of playing unprofitable videos. Vemba is agnostic on video ad tech and does not sell ads itself. However, SpotX is its default ad solution and the companies have a joint roadmap they’re exclusively pursuing. SpotX itself was recently fully acquired by RTL Group. Vemba is based in Toronto where the tech team is located, with sales and business development in NYC and LA offices. The company currently has 32 employees. (Note: Vemba is a Headline Partner and SpotX is a Premier Partner at our 3rd annual SHIFT // Programmatic Video & TV Ad Summit on Wed, Nov. 29th in NYC. Discounted early bird tickets are available now!